‘Down with slow internet’: A new Egyptian revolution? An Egyptian youth group has launched an “internet revolution” to protest what they consider a slow internet service that is not worth the money being charged. “Down, down with slow routers,” campaigners have said on social media. On a Facebook page called “Internet Revolution Egypt,” campaigners are demanding a respectable internet service, fair prices, professional technical support, and equality with other parts of the world. Ahmad Ramadan, one of the Facebook page administrators, told Al Arabiya News that Egyptians no longer tolerate the “slow” and “insufficient” internet service they are receiving. “We’re receiving a service that isn’t worth the money we’re paying,” he said, adding that Egypt is far behind other Arab countries. “We have admins in cities such as Cairo, Alexandria, Port Said and Suez,” said Ramadan, who manages the Alexandria page. Many governorates have their own campaign pages to follow up on internet problems, he added. Members are encouraged to complain to internet providers in Egypt, such as Vodafone, Mobinil, TE Data, Etisalat Egypt and Link DSL Egypt. 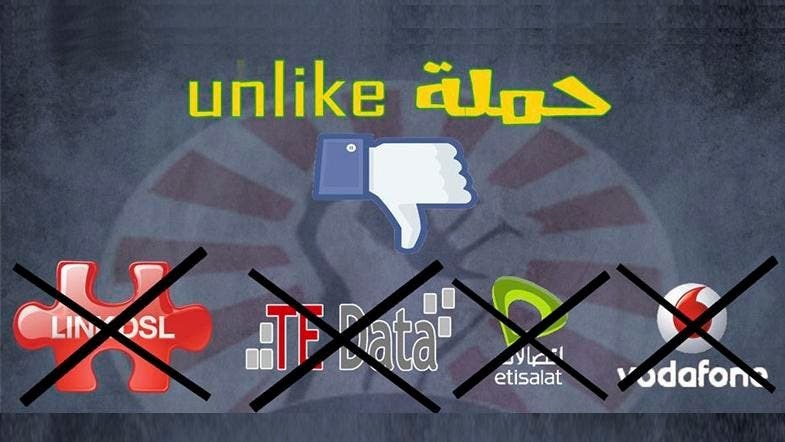 “We’re awaiting approval from the Ministry of Interior to organize demonstrations outside the headquarters of these companies,” Ramadan said, adding that a petition will be presented to internet providers. If demands are not met, some members have called for bills to not be paid. Al Arabiya News contacted Mobinil and Etisalat, but without response. However, mobile internet access is growing, he added. “All three mobile operators in Egypt have been offering 3G services for some time, combined with the fact that mobile data devices such as smartphones and tablet computers are becoming increasingly affordable,” Reed said.